Ease of development, beautiful UX/UI and the responsive landing pages look great. 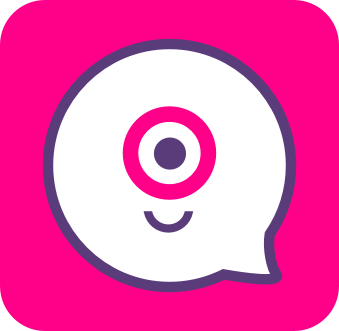 A few days effort with this tool can turn any novice to a conversational chatbot developer. Finally, to top it all excellent support from the company. Not multi-platform. So one has to redo the bot all over again to publish in Messenger and WhatsApp. Whatsapp is restricted to only one provider Waboxapp. The total absence of NLP is felt at times! I had tested at least 8 to 10 chatbot development tools before finally opting for Landbot. So I can confidently recommend this product to even to a novice without having any knowledge whatsoever about programming or bot development. You would have never thought that chatbot development is so easy! One can design beautiful conversational landing pages and a great lead generation tool. Can even be a substitute for Apps. By integrating to the back-end database, I was able to develop even concierge services. "Excellent platform for fast implementation of chatbots put in place by a super-dynamic startup"
ease-of-use platform which enable to create very complex chatbots quickly. I have been using Landbot for 12 months and I really appreciate the possibility to call chatbots directly from the flow of another chatbot which enable to create very complex systems composed by hundreds of blocks without messing with spaghetti-like coding. I also appreciate their help desk, one of the best and most efficients I have ever used, and the fact that they are always improving the platform in total trasparency with the users. The new BRICKS builder which is based on a truly Object Oriented reusability concept is really amazing and I think will speed-up the development and the maintainance of my chatbots. Despite I'm very happy with this platform I must say that the cost for subscription is becoming very high compared to most of their competitors. try it before paying for subscription which is expensive compared to other solutions. I created three chatbots to support my clients in the Financial Sector. "too easy to use ✌️"
The new version of Landbot (BRICKS) answer a lot of my problematic, but for now I don't know if Landbot schedule to move the old flow to BRICKS. If we need to remake all the flow every time that Landbot updates this software, it can be painful when you have a very complex bot. To make a summary, nothing that I dislike for now, but just I hope that I wont need to implement again and again, every time that something change in Landbot. "Landbot has enabled an whole new line of company revenue for us and unparalleled automation." How easy it is to figure out and how fun it is to get started. Then when and if you decide to do something more complex, they have really great support. Really have to nit-pick here. Seriously. So far, I think there might need to be some work done on enabling bot scale and performance. I could be wrong but based on limited data under some rare conditions like heavy and unpredicted simultaneous users we experience some bot performance issues. Works well to create a conversational interface with a focus on non-AI and non-NLP. Great top of the funnel. Great mobile experience. Super fast and intuitive to use. I am solving the problem of what to do when you have a cell phone that you'd like to sell in the fastest most passive way possible. Simply chat a bot, check your mail, send in the phone with our packaging and get paid. "Great bot with a nice free plan"
I love that it's got a really appealing design, very very easy to set up, good free plan, and lots of options to customize and share your bot. Also has options for Messenger and Whatsapp bots, but this is paid. I really, really like this product, we started getting leads pretty quickly. Literally nothing. I could not ask for more for a bot - at least with the free plan. Can't think of any cons. Well, if you're looking for a bot for your website, blog or to use as a conversational landing page, this product is right for you. Easy to use, attractive design, does what it's supposed to do. I'm using Landbot to capture leads from the company blog. And it works better than, say, pop-ups. We've had it for a couple weeks and we have leads already. It also helps to qualify leads. Many thanks for taking the time to review us on G2! We couldn't be happier with the results you're getting. We keep on working hard to make our products and offerings better for you all. Let's keep on capturing leads! "So easy to build, easier to generate leads using a chatbot." Lot of possibilities to create a highly interactive bot that engages and converts very well website visitors, great for both mobile and desktop conversion. It’s really easy to set up and don’t need to have coding skills at all so anybody can get it done. It has so many integrations like Zapier, Slack, GA or Mailchimp so can easily manage all leads. Nothing in particular really. I’d actually like to be able to learn faster just so I can end up creating more bots that I can embed on the website. I’d recommend it to any type of business really, since the bot does not have to be built by someone with minimal technical knowledge and it can be embedded anywhere on any website quickly. I’d suggest for new users to check Landbot’s knowledge base where they explain carefully about the product, features and possibilities. Conversion. I now have better conversion rate for my coworking webpage and we get more bookings using a conversational chatbot. Also there’s no need to have an external developer for this implementations. Thanks to the available integrations we generate leads effortlesly. Landbot boosted my Lead Generation and cost per lead. I have 3 bots running for my clients, all generating the highest possible return. The chatbot performance has been far superior to landing pages. I'm a Brazilian marketer. It would be great to have the option of language in Brazilian Portuguese, and the integration with RD Station Marketing. Test it for lead generation campaigns with google/facebook ads + conversion snippets / pixels. Optimize lead generation volume and cost per lead, like a boss! "Great idea, just a few nagging issues keeping it from being ready for mass market"
Great baseline features: Zapier and Slack integrations, conditional logic, and a few other neat ones. Also really like the analytics and reporting. Favorite thing by far was the easy of creating the logic paths for the bot which was very intuitive. It's buggy at times, but usually within a few days the bugs get resolved. For example, one time it would behave as if I was still active even though I marked "away" which caused quite a bit of customer confusion. The biggest issue by far is the forced branding on the lowest paid plan. The branding obtrusively overlaps the UI and interferes with the function of the form. When I brought this up with support, the only offered solution was to upgrade to the next tier at 3x the cost. This is not an acceptable answer in my opinion. We wanted to automate and personalize a web form. We have seen increased conversion rates since implementing. If the tool didn't have the mentioned issues, we would be longtime customers for sure. Nothing. I have been working with them for a year and they keep improving it and they are great about asking for development road map suggestions.. Truly a great company not just a great product. It is so easy and you will be up and running quickly! Onboarding new users as well as new prospects. It helps us unpack our offerring in a way that speaks to the individual user and allows for amazing flexibility. "Very easy and very complete"
Because I use the Google Sheet integration I have to subscribe to a Pro Plan, which it is very expensive to me. I am trying to generate more interaction with the customers offering free financial simulations and generate leads. "We use this for about 15 clients and growing." Simple to use, easy to setup, nice web-hooks if you want to do more fancy things. I wouldn't say much - I do wish it were easier to to TCPA compliance issues and integrations but this isn't just Landbot. Haven't found anything (botwise) that makes TCPA easy. * We monitor all Landbot reviews to prevent fraudulent reviews and keep review quality high. We do not post reviews by company employees or direct competitors. Validated reviews require the user to submit a screenshot of the product containing their user ID, in order to verify a user is an actual user of the product. Hi there! Are you looking to implement a solution like Landbot?